We approach every project with the goal of creating a beautiful and protective environment which both enhances and adds value to your artwork. 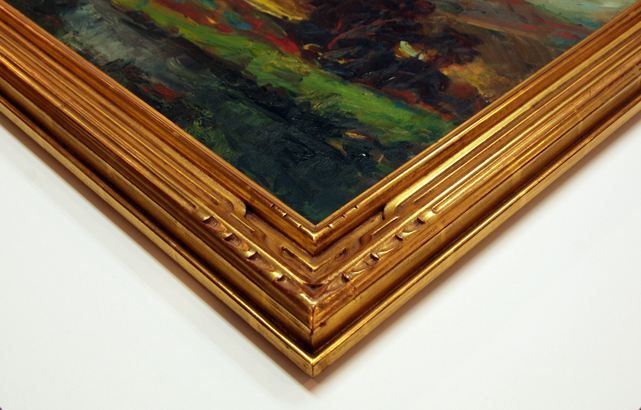 Bring in your next project and together we'll design the perfect frame for your art. We specialize in archival techniques and products . We'll create an environment to protect and display your treasures. 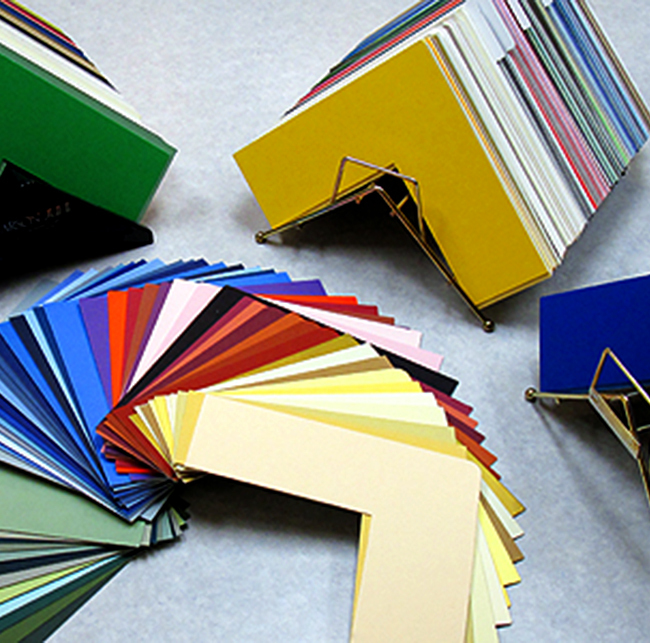 We have a wide variety of mat choices for any project. We can create a beautiful mirror to enhance your home. We stretch paintings or fabrics and mount photos or posters. We have a great selection of custom made frames on hand and ready to go. We believe every work of art requires unique consideration to determine the appropriate frame design and treatment. 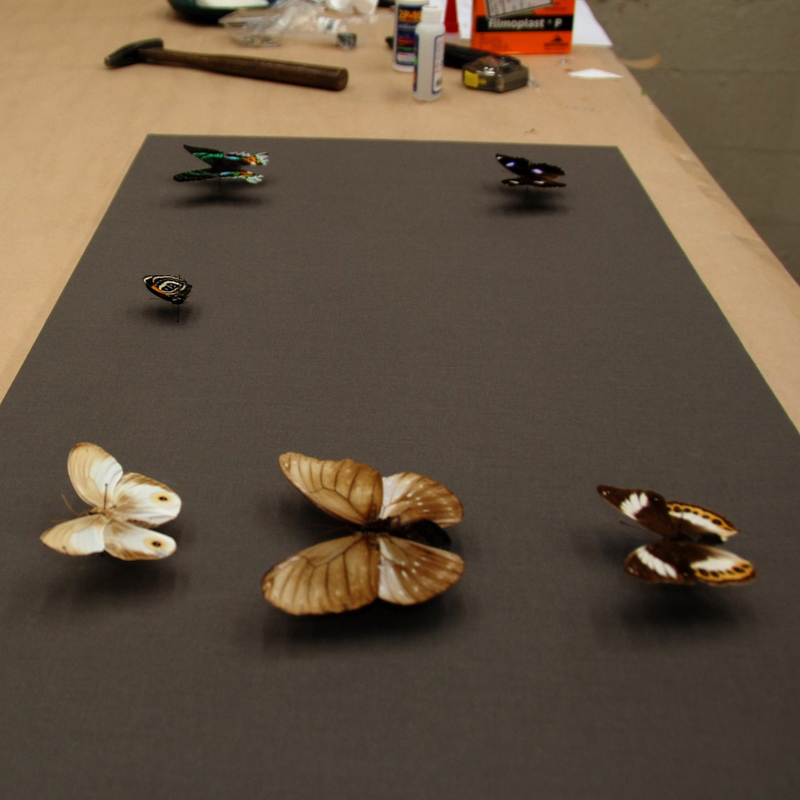 Working closely with your ideas we will custom design each component of the frame to the specific needs of your art. We carry conservation and 100% rag mat boards. 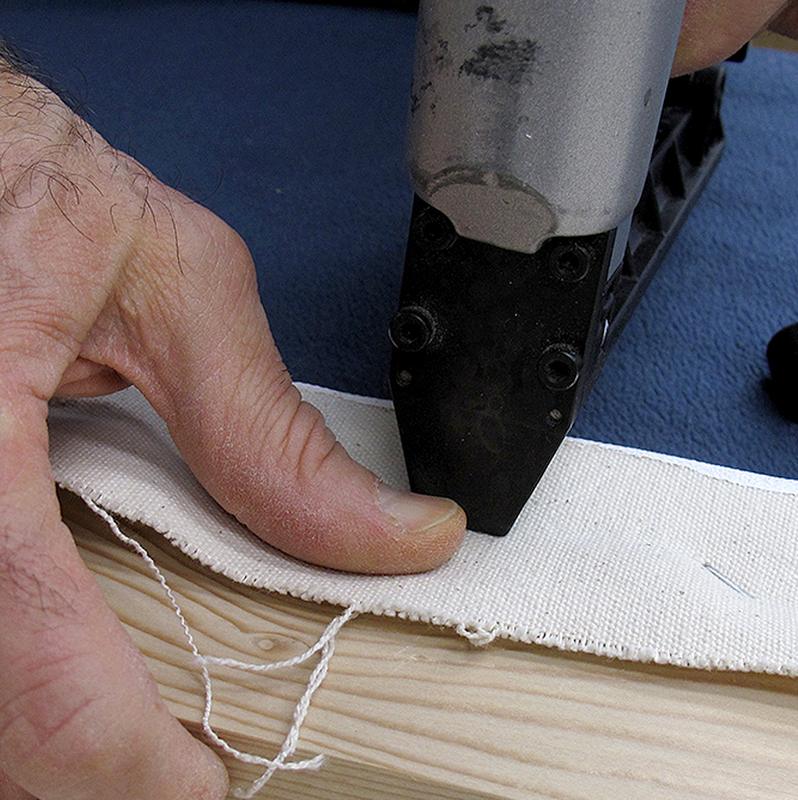 We use archival liners, fillets and adhesives. 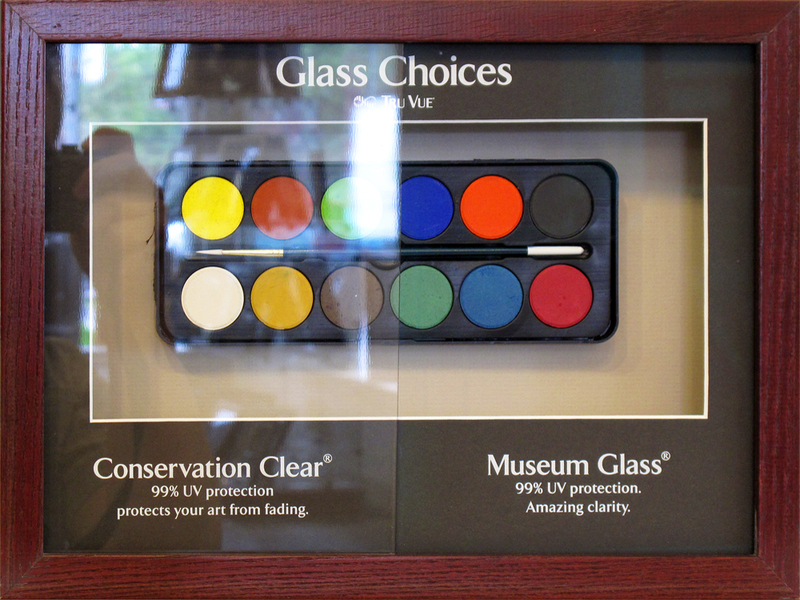 Our glazing products protect your art from UV damage - some do so while remaining quite literally invisible.